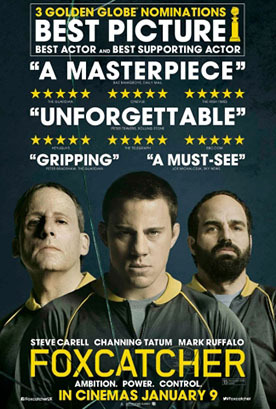 has been given a voice as well. 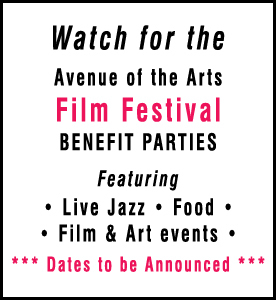 This year's AVENUE of the ARTS FILM FESTIVAL spectacular program of great award winning films and gala events, takes place Thursday, July 16th, to Friday, July 24th, at BPL's West End Branch on Cambridge Street, near City Hall. 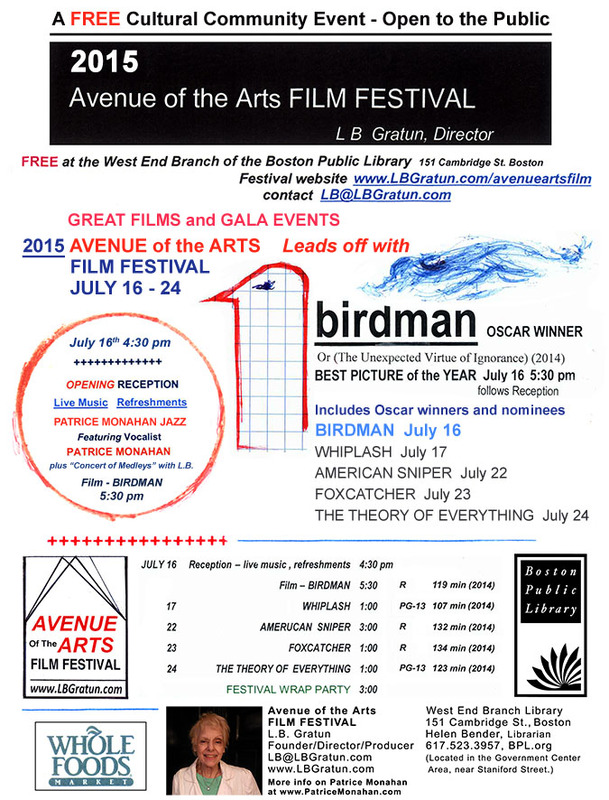 BIRDMAN, Oscar winner for BEST PICTURE OF THE YEAR on July 16th at 5:30 p.m., leads off the film program, following the popular stylings of Patrice Monahan Jazz at 4:30 p.m. Patrice will join Film Fest Director L. B. Gratun with this year's "A Concert of Medleys," parodies of film-related songs. A variety of complimentary refreshments and tasty foods will be available at this Opening Reception. 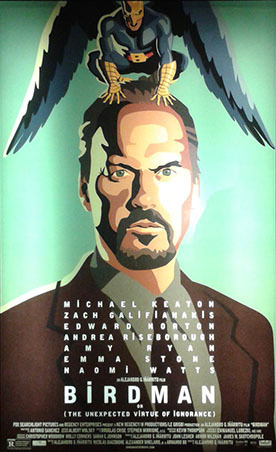 L. B. again predicted this year's Oscar winner BIRDMAN well in advance of the nomination announcements. 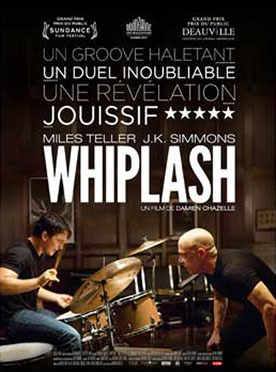 Other great films featured in this year's Film Fest program include THE THEORY OF EVERYTHING, AMERICAN SNIPER, FOXCATCHER, and WHIPLASH. 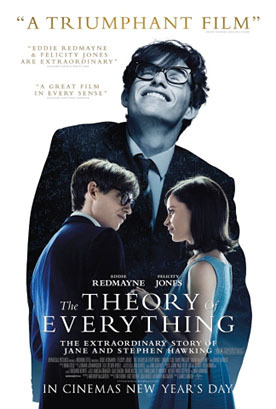 The Festival Wrap Party will follow the 1:00 p.m. screening of the final film, THE THEORY OF EVERYTHING, on Friday, July 24th at 3:00 p.m. 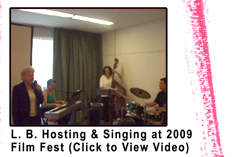 The Festival would like to thank Friends of the West End Branch Library, and Helen Bender, Head Librarian, for their continued support. The West End Library is located at 151 Cambridge Street in Boston's Government Center area, across from Joy Street and near Staniford Street. 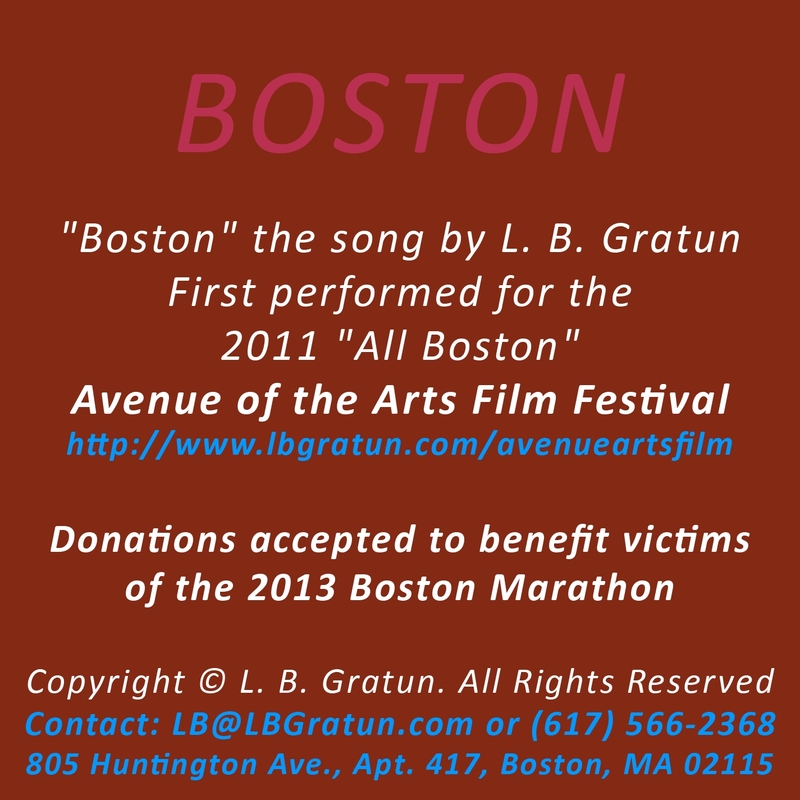 For complete information on the Film Festival, and posters with links to the film websites and past programs, please visit the official site www.LBGratun.com/avenueartsfilm. 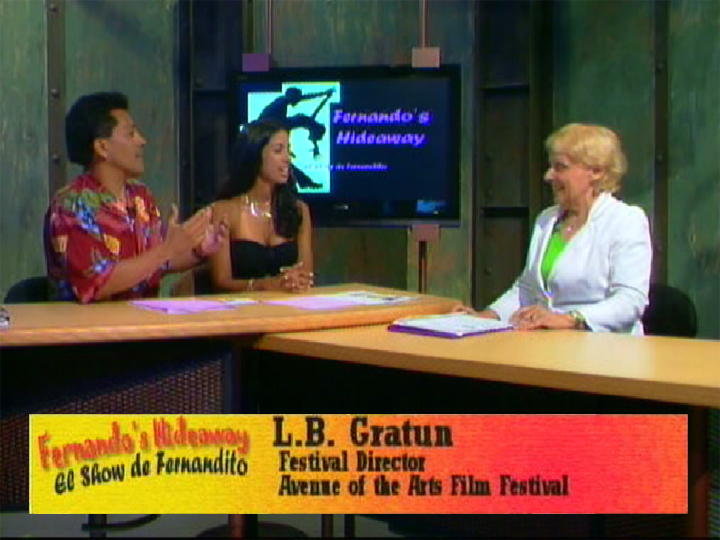 Festival Producer/Director L.B. 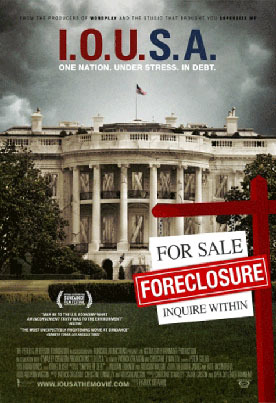 Gratun can be contacted at LB@LBGratun.com. For the West End Branch Library, call at 617 523-3957 or visit BPL.org. 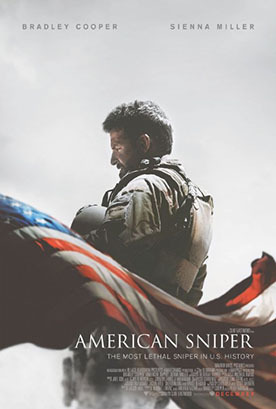 Valarie Kaur, Filmmaker, "Divided We Fall"
Download (Right-Click Here & Save .MP3) commemorative song "BOSTON" to benefit Boston Marathon victims. 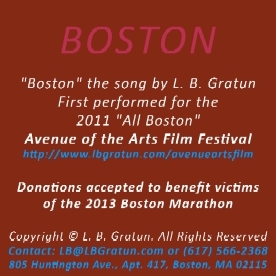 E-Mail LB@LBGratun.com to order a CD of this song.